What treatments may be used for Troy, MI area patients during a cosmetic dental makeover? Lost teeth can wreak havoc on a smile. They can cause shifting of existing teeth and have a negative effect on the appearance. They can also reduce chewing and biting efficiency. Patients who want a strong, stand-alone restoration to replace one or more missing teeth may benefit from the placement of dental implants. Dental crowns are used for protection, rejuvenation, and for restoring dental implants. 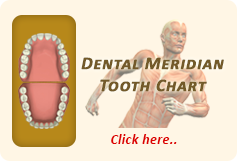 They are extremely versatile, and are custom-made for patients from impressions of the teeth. Patients may use dental crowns over teeth that have had root canal therapy, are broken, or have extremely large dental fillings. An alternative to dental implants, dental bridges are a more permanent solution to tooth loss. Unlike dentures, which are removable, dental bridges are bonded in place using the adjacent teeth for support. Dr. John L. Aurelia offers patients two primary ways of whitening their teeth, in-office power bleaching with the Zoom! teeth whitening system and take-home whitening trays. Partial, full, and implant-supported dentures are available at our practice. We use only the best materials available to fabricate these restorations and provide a solution to tooth loss. Orthodontics such as Invisalign are extremely popular in our practice, as they allow patients to realign their teeth and bite without the need for traditional braces. Invisalign uses clear trays that snap in and out of the mouth and gently realign the teeth into proper positioning. This form of treatment is often preferred over metal bracket and wire braces.